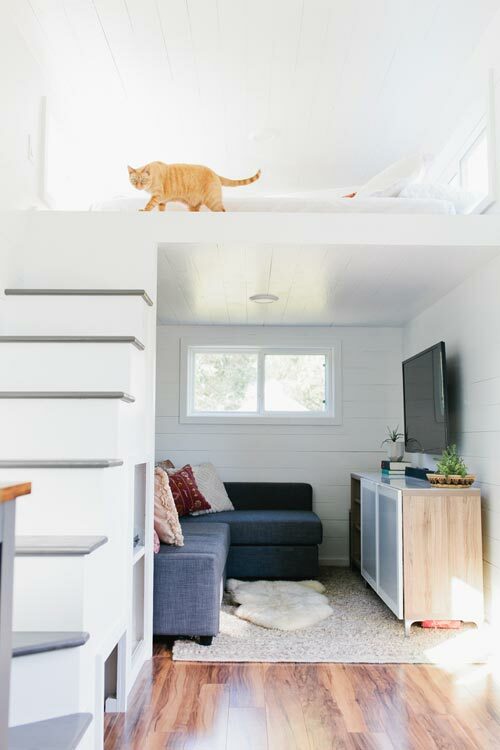 After spending their honeymoon staying in tiny spaces along the West Coast, Kelly and Canaan decided to downsize from their 3/2 house. 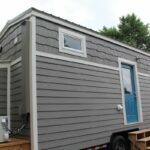 They had a trial run in a 700 sq.ft. 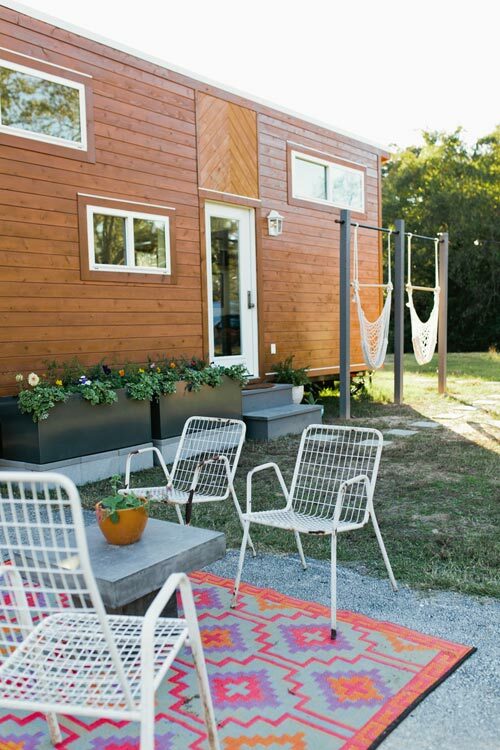 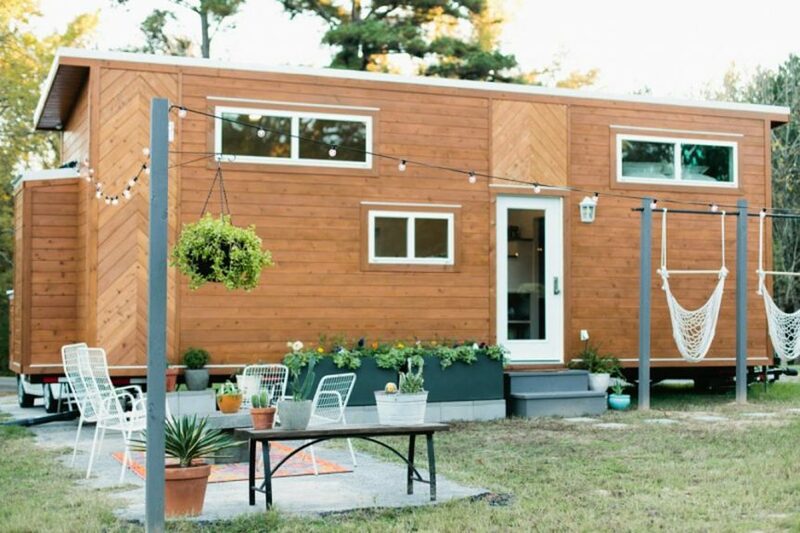 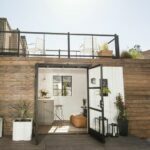 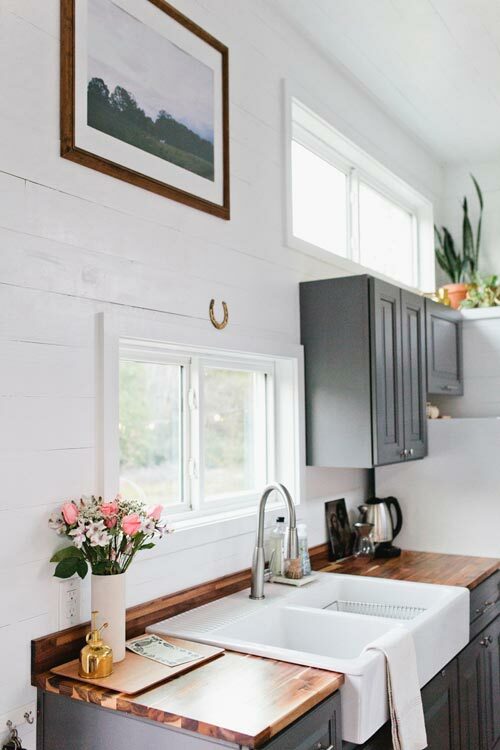 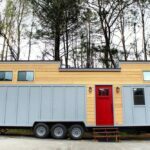 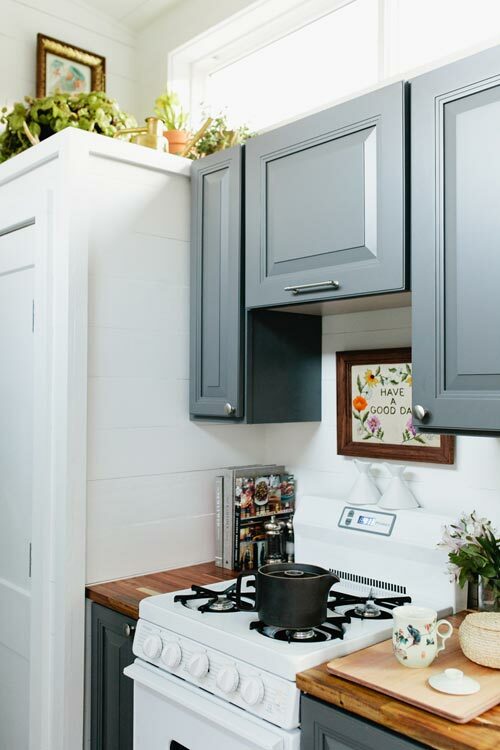 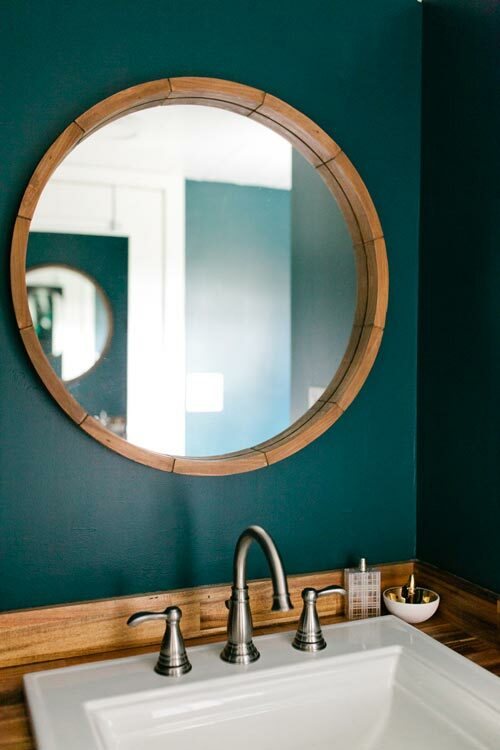 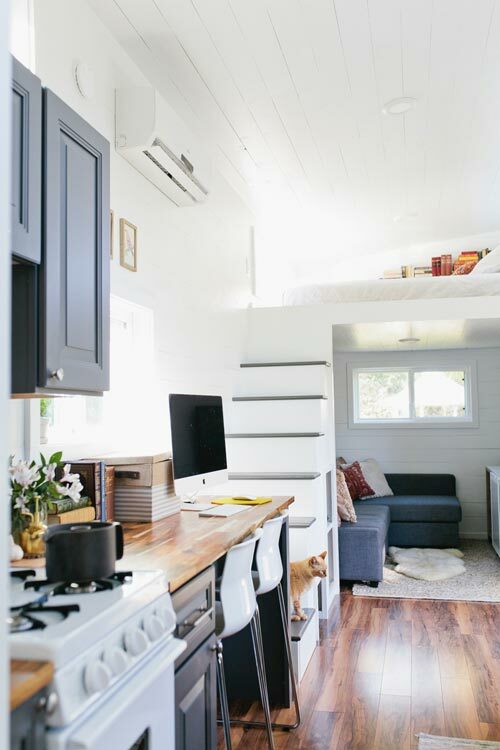 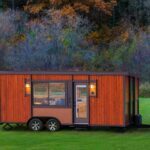 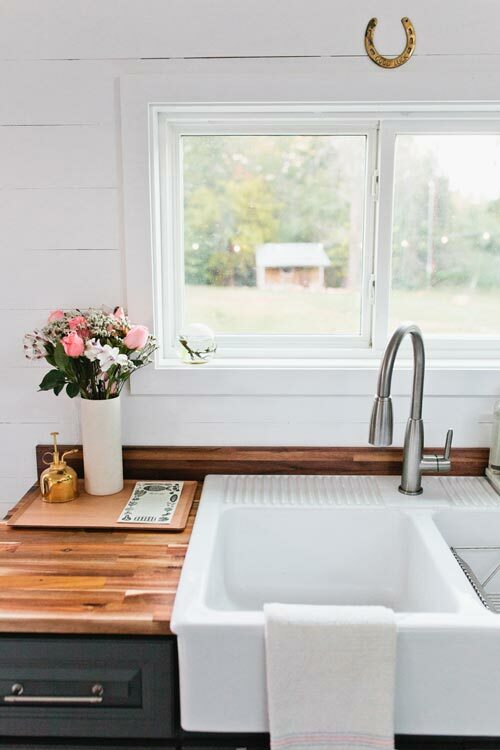 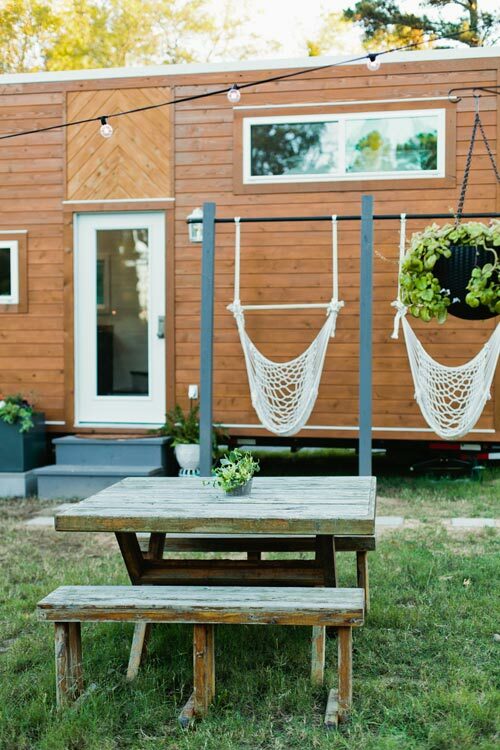 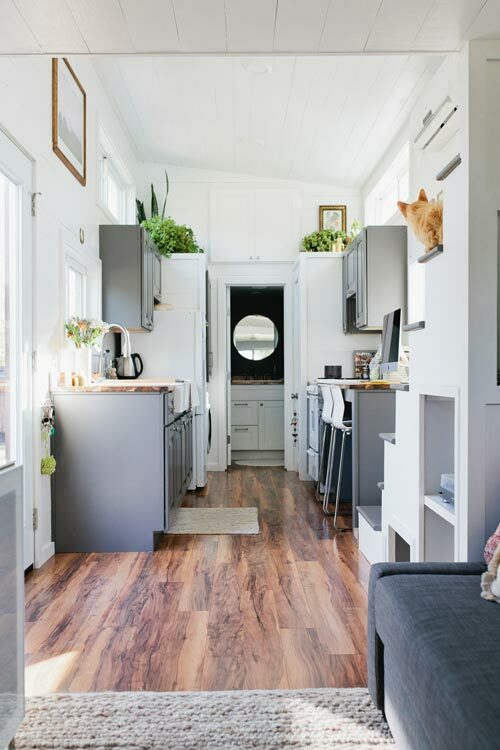 apartment, then they were ready to take the plunge into tiny living and hired Longview, Texas-based American Tiny House to build their custom tiny house, Golden. 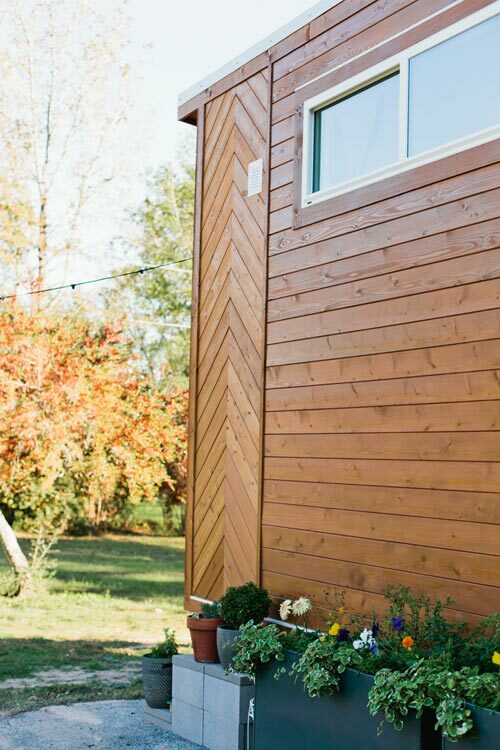 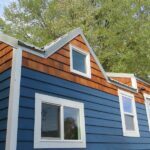 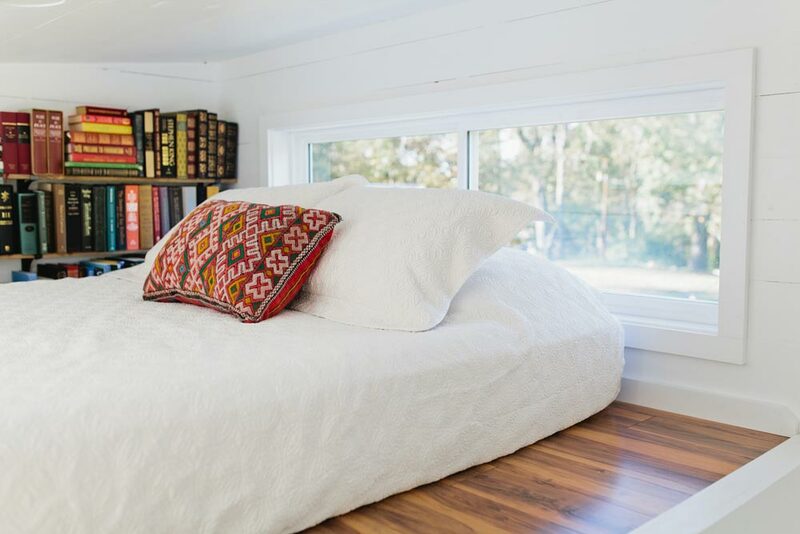 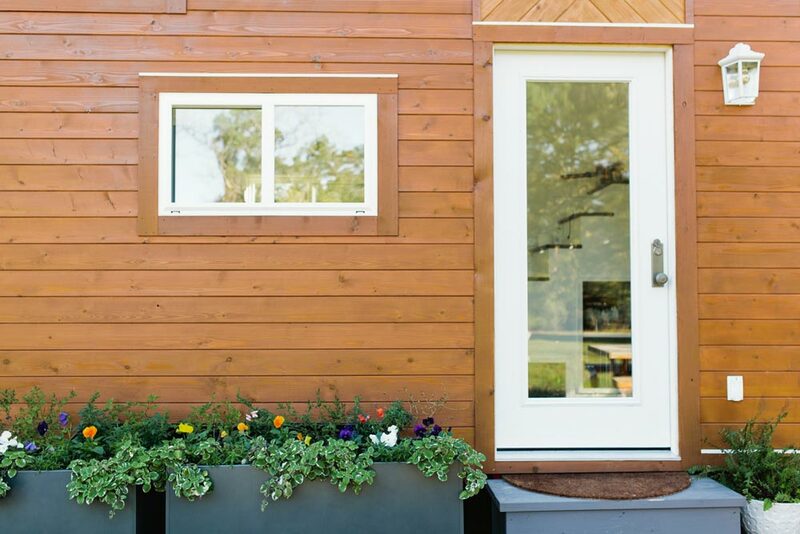 The 320-square-foot tiny house has a chevron pattern along the side of the house and above the front door. 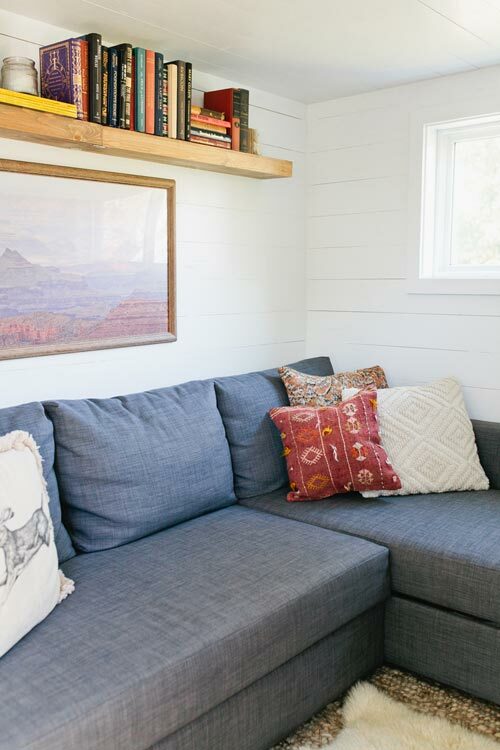 Inside, you’ll find a large living room with a pull-out couch, as well as abundant storage space throughout the house. 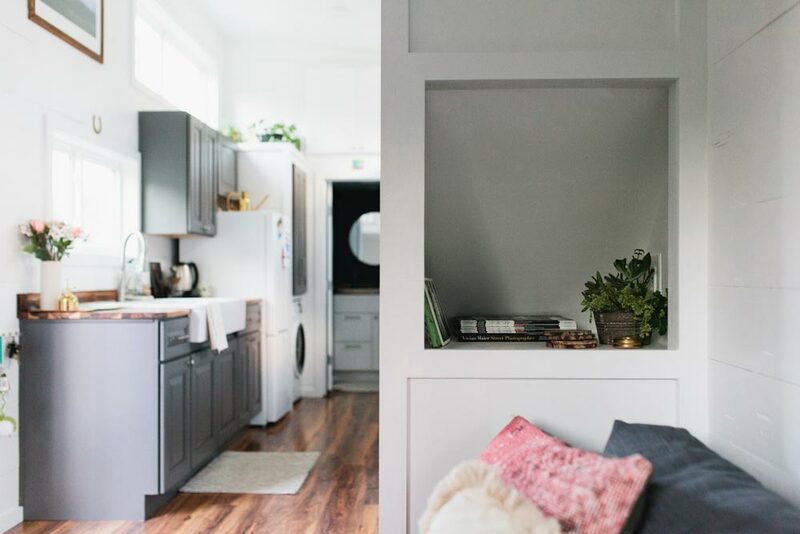 The kitchen features lovely grey cabinets, butcher block counters, a farmhouse sink, a four burner gas range, and an apartment size refrigerator. 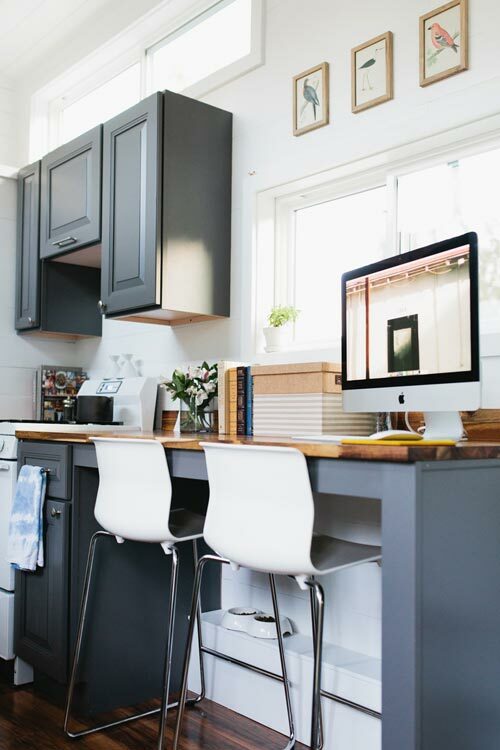 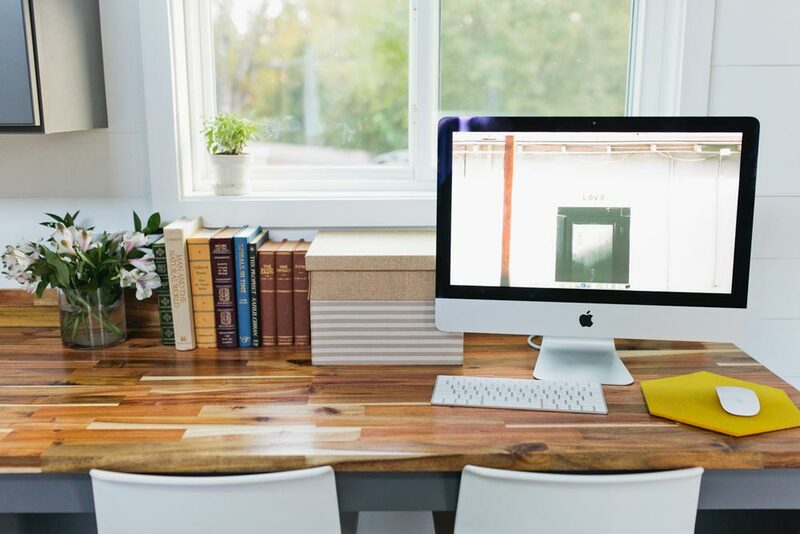 Kelly is a lifestyle and interior photographer based in Golden, TX with her husband, Canaan. 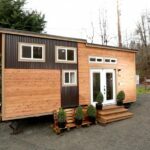 Also available from American Tiny House: Everett, Houston.